Wondering where to book for your next beach holiday? With 1000s of new seats released, there’s never been a cheaper time to book Turkey holidays. This sun-kissed destination has doubled in capacity just in time for summer 2018, and with 5-star getaways to be had for as little as £185pp – we’re not waiting around! 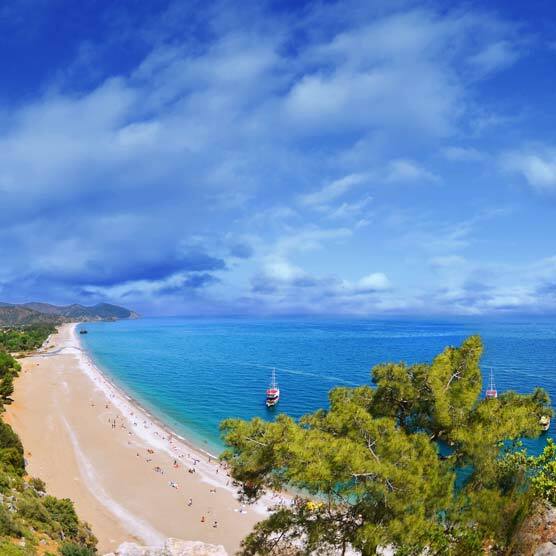 On top of additional seats, new routes and additional scheduled services are also being launched in spring, with a variety of airlines flying to resort destinations such as Dalaman earlier in the year - providing even more opportunity to visit this great-value sunshine spot in the Med. With fantastic deals available on flights and hotels in popular resorts Dalaman, Bodrum, Antalya, Istanbul and more – you can even upgrade to an all inclusive holiday the whole family will love. Whether you want to whisk away a loved one on a romantic couples break or spend your summer holiday with friends and family, we have a round up of blissful beach resorts along the Turquoise Coast you can head to for a fraction of the price – simply book early to snap up a seat!